We are a trusted name of the industry, which is engaged in manufacturing, supplying, trading and wholesaling a qualitative range of Traffic Warning Blinker/Flasher 230 V AC. The offered range of traffic warning blinkers/Flasher is manufactured by our professionals in tandem with the industry set guidelines. Further, these traffic warning blinkers/Flasher are highly acclaimed among the clients for their remarkable features such as low power consumption, durability and optimal visibility. We are manufacturing, supplying, trading and wholesaling a wide range of high grade LED 230 V AC. Traffic Warning Blinker/Flasher. These traffic warning blinkers are manufactured using the high-grade raw material, which is procured from the certified vendors of the market. 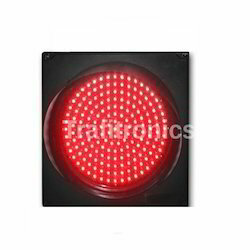 Offered traffic warning blinkers are available with us in 300 mm diameter and 200 mm diameter. Looking for Traffic Warning Blinker ?